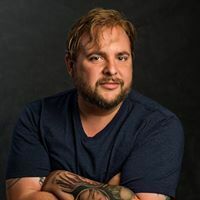 A professional photographer, writer and fan of general weirdness (both real and imagined), Tony has traveled tens of thousands of miles seeking out everything from haunted locations, UFO crash sites and monsters like Bigfoot and the Mothman. In a previous life, he worked in the independent movie industry but he ﬁnds his current career much more exciting. Tony's ﬁrst writing memory involves penning a short story about taking a road trip with his best friend and his dog (two diﬀerent creatures) to watch KoKo B Ware in a professional wrestling event in Pittsburgh. He wrote that epic saga while in the 3rd grade and it was all downhill from there. His ﬁrst books were a series of o)eat travelogues but recently his zombie apocalypse series, "Life A professional photographer, writer and fan of general weirdness (both real and imagined), Tony has traveled tens of thousands of miles seeking out everything from haunted locations, UFO crash sites and monsters like Bigfoot and the Mothman. In a previous life, he worked in the independent movie industry but he ﬁnds his current career much more exciting. Tony's ﬁrst writing memory involves penning a short story about taking a road trip with his best friend and his dog (two diﬀerent creatures) to watch KoKo B Ware in a professional wrestling event in Pittsburgh. He wrote that epic saga while in the 3rd grade and it was all downhill from there. His ﬁrst books were a series of o)eat travelogues but recently his zombie apocalypse series, "Life of the Dead" has been a bestseller online and grossed out readers all over the world. His ultimate goal in life is to be killed by a monster thought by most to be imaginary. Sasquatch, werewolves, chupacabras, he’s not picky. If that fails, he’d enjoy making a living as a full time writer. Which of those two scenarios is more likely is up to the readers to decide. To ask Tony Urban questions, please sign up. Tony Urban hasn't written any blog posts yet. We’d love your help. Let us know what’s wrong with this preview of Flesh by Patrick Logan. We’d love your help. Let us know what’s wrong with this preview of Strange Weather by Joe Hill. We’d love your help. Let us know what’s wrong with this preview of End of Watch by Stephen King.